We specialize in Auto and Work related accidents and injuries. We offer skilled care at convenient locations for a multitude of injuries, trauma and syndromes. No matter how you got injured, we offer services to alleviate the pain and correct the problem. We have a dedicated team, at each of our locations, ready to listen to your concerns and offer solutions. 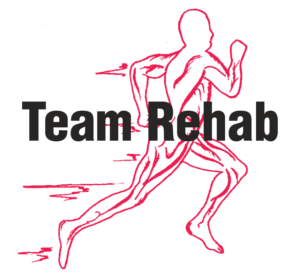 With three conveniently-located facilities, there is a Team Rehab location near you. Contact us Today. At Team Rehab, two of our primary focuses are auto and work related injuries. For these, and all other traumas and syndromes, we will work with you to develop a treatment plan specifically designed for your individual needs. We wish to become your first thought and clinic-of-choice for any and all musculoskeletal pain or injury. We hope to develop a long-term relationship with you and your family. It is always good to know that there is a medical clinic that you can depend on that will have first-hand knowledge of your body and specific needs for care. Call us today, and together, we will help free you of pain and get you back to your normal routine.